Revival Creative | HELLO DAYTON! 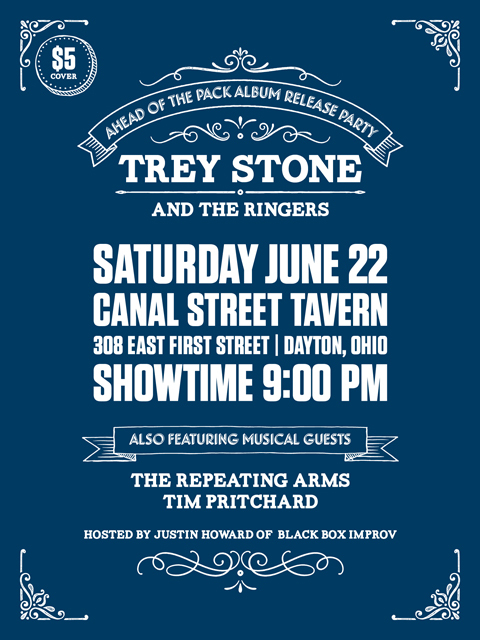 We just completed this poster for Second City alum Trey Stone and his band The Ringers. They’ve just released the debut album Ahead of the Pack featuring new country favorites. Check them out on Spotify or see them live if you plan to be Dayton.